There’s been quite a few revelations since I first started writing this series (before a single game was played). There is no doubt, based on the performances of all seasons, that this is a basketball league, and a damn fine one. The football side of things weren’t awful, UCF sort of saved the conference by upsetting Baylor and genuinely playing a great season. American Athletic basketball, on the other hand, was one of the best conferences in the country. At least on top it was, with Memphis, Louisville, Cincinnati, SMU and national champ UConn leading the pack. Next year things could change; gone are the Cardinals, and in are generally-football leaning Tulsa, Tulane and East Carolina. Memphis. It’s tragic this squad plays in a 60,000-person football stadium. In a state not known for producing top-notch football talent, the Tigers are arguably the fourth-best football program in the recruiting pecking order(UT, Vandy, Middle Tennessee). Of course, that doesn’t mean the future can’t be bright. Next year’s TV exposure could mean a big step up for this long time gridiron doormat. Speaking of TV exposure; Cincinnati basketball coach Mick Cronin was quoted recently as saying Memphis was the best hoops team that no one saw last year. 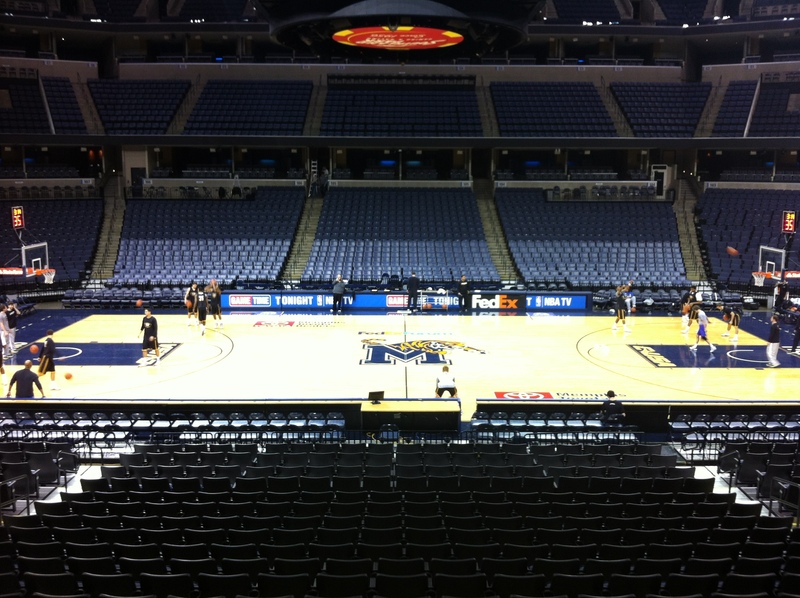 Memphis is very much a basketball city, and the Tigers are a pretty big deal. If Mario Chalmers didn’t make it rain in the 2008 championship game, you could even call this program “elite.” This league’s exposure will be good to them. Either way, there’s no question that the University of Memphis is a basketball school. 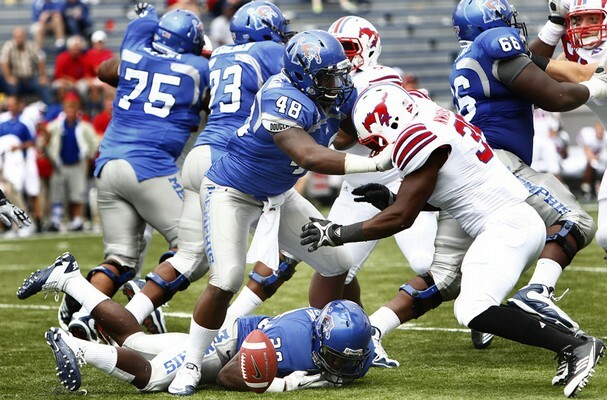 While certainly known for hoops, Memphis has huge football upside in the American. Navy. Well, the only sport invited to the American Athletic Conference is Navy football. Pretty much all we need to base this on. SMU. This might just be the trickiest one yet. Asked me four months ago and I might have said football. And yes, I know their football has been really, really bad in recent years, but at least they have history. ESPN even did a “30 for 30” on the football program (albeit for serious recruiting violations). But to everyone’s surprise, they’ve managed to become a real threat in basketball. Larry Brown can coach, and most importantly, recruit. These guys are going to be loaded next season, and angry about their NCAA snub. So, Memphis it is. The FedEx Forum. It’s not the Garden. But playing at Madison Square Garden with this group of teams wouldn’t feel right anyway. On the surface, this is a great place to host the tournament; it’s geographically accessible to all the teams’ fan bases and it’s a large arena that seats more than 18,000 fans. As a city, Memphis certainly provides enough entertainment and accommodations (again, no New York), so it should be a solid first year. I’d be curious to see what kind of fan support the Florida and Texas schools can draw for the event. We already know the fans will be overwhelmingly Memphis Tiger’s. Hopefully there’s just a little balance. I know the defending national champion Cardinals are going to be a big draw, but I really wish we could skip forward a year so we don’t have to wonder about the conference that could have been if they stayed. Regardless, they’ve certainly nailed down the best possible venue for a men’s tournament, and that’s a great step in the right direction. Why is the American Athletic Conference So Bad Right Now?